Our featured gadget today is the Sony Action Camera. Last month, Sony invited us to try two of these action cameras brought it all the way to the newly opened Flow House Manila in Cavite. 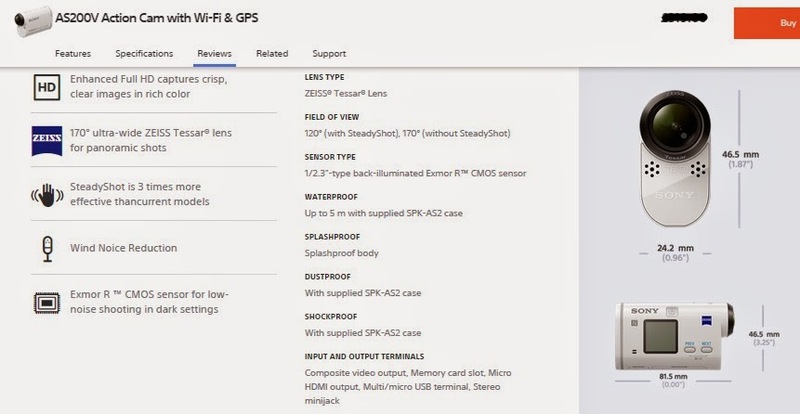 Although at first, I was having a hard time connecting the Live-View Remote to the Sony Action Camera because it sensed other action cameras within the area. Eventually, we were able to successfully connect the two. Sony Action Cam AS200VR in full HD provides a clear shot of waves in rich color for higher quality movies. We also tried it aboard the Ford Eco Sport, with its SteadyShot feature we got better, clear (not blurred) images. It comes in white color, 46.5 by 24.2 mm. With the camera SPK-AS2 case, it can be immersed under water up to 5m yet it comes with a splash-proof body. All you need to familiarize is the two buttons - Previous and Next. Then, choose from Photo, Video, Play, Menu, Settings. The red button is located at the right side where the battery is also located. The built-in stereo mic and wind noise reduction, we can hear Jonel speak clearly, check out our video here. I brought the unit on our family vacation at Natipuan Cove Beach in Nasugbu, Batangas. There, I was able to play more with the gadget. My cousins were happy with our photos taken using the Sony Action Camera. Almost all our photos were clear and vivid. This is probably one of the best photos. My cousins and I went up the hill with the view of Batangas beach, Natipuan Cove and White Beach. The Live-View Remote on your wrist (RM-LVR2) lets you make use of on-site playback, check and even delete unnecessary footage to optimize recording capacity. 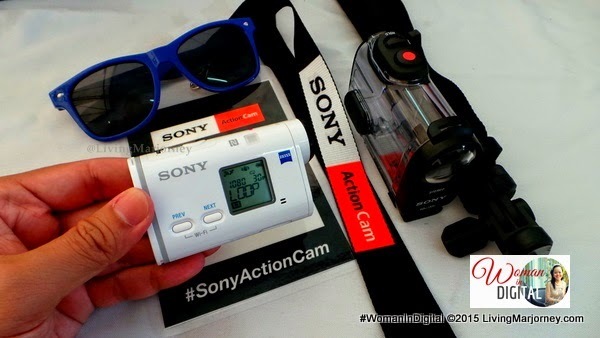 Moreover, you can connect the Sony Action Cam to your mobile phone via WiFi. From the phone, you can view, snap, delete images/video just download the Play Memories Mobile App. For editing photos, use the Action Cam app. I was happy with the photos and videos from the Sony Action Camera. Although I haven't tried or reviewed other competing brands but I have other Sony gadgets that I still own up to know like the Sony PSP 2000 and a Sony walk man. 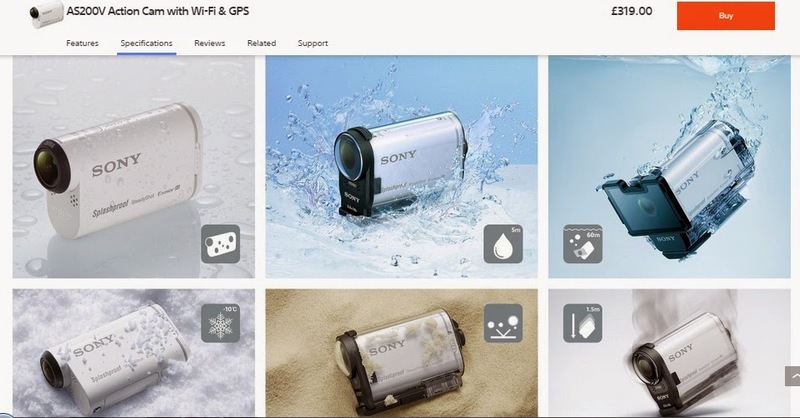 Have you tried any of the Sony Action Cameras? What can you say about that? Note: All photos were unedited, no filter only re-sized. NICE.. I think I need to buy this Haha :) Thanks sa feature Mars! Same here Ruth, I think I need this in my life. Haha! Habang wala pa, settle for monopad, lol!